A veterinary degree is a passport to a whole world of career opportunities. This home-made video was shot by members of the Vet Futures Action Group to showcase the variety of roles for which their degrees have equipped them. Dr Vincent Mak is a Lecturer in Marketing and Decision Sciences at the University of Cambridge’s Judge Business School. Dr Alan Radford is a Reader in Infection Biology at the University of Liverpool. 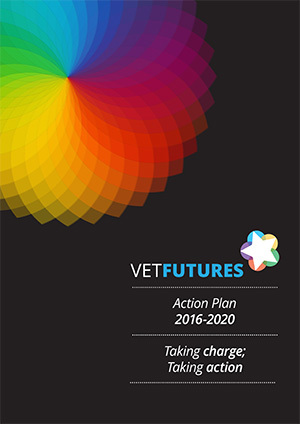 London Vet Show 2014 saw the launch of Vet Futures, a major new initiative that aims to help the profession prepare for and shape its own future.